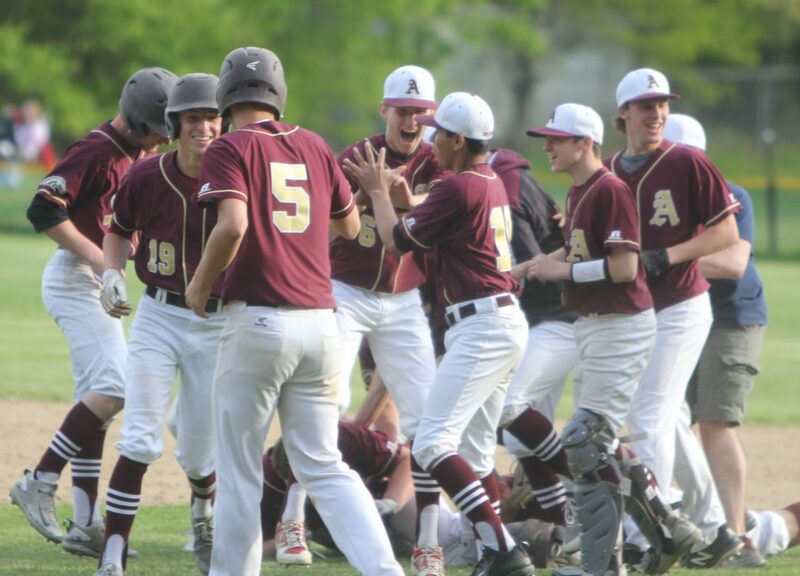 Staff photo by TOM KING The Alvirne baseball team celebrates after Ryan Ruigrok (5) scored the winning run in a come-from-behind walk-off win over Nashua South on Friday in Hudson. Nope, not with this current Broncos squad you don’t. Despite a 5-10 record, they never seem to be out of a game. 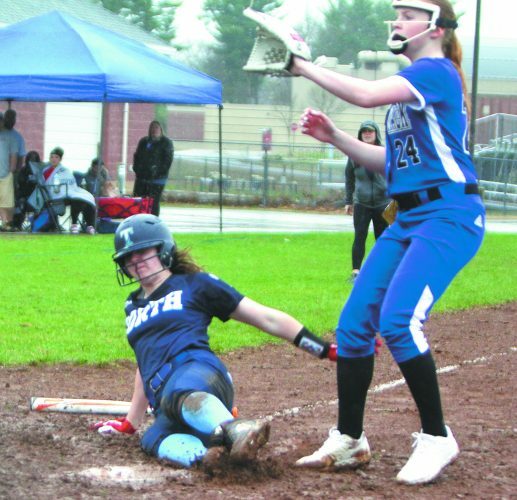 Such was the case on Friday, as they rallied from a 5-0 deficit, scoring three runs in the sixth and three in the seventh to stun Nashua South, 6-5. 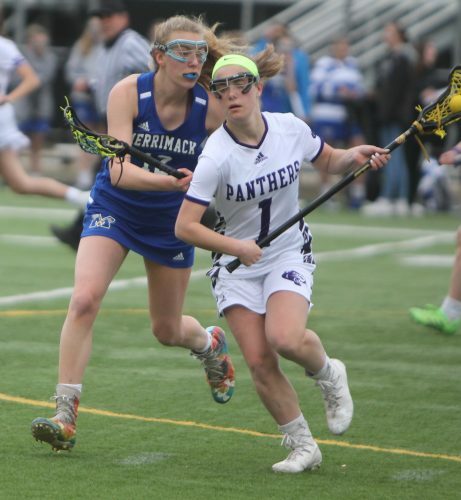 It was a tough pill to swallow for the 7-9 Panthers, who had lost three straight coming in by a combined 30-0, including being no-hit the other night by Bedford. 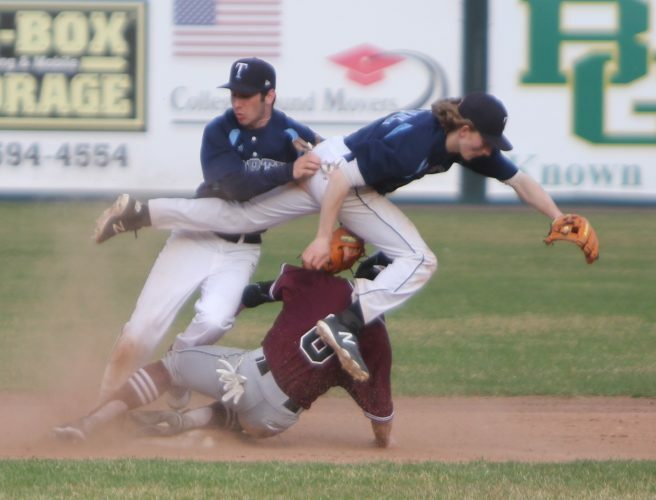 But it looked as if they would snap that streak after they got two runs in the second on a Seth Marcano RBI single and a wild pitch, and then three in the third thanks to two Alvirne errors that followed a walk and a Jay Matylewski double to go up 5-0. South starter Hunter Routhier seemd to have things under control, though, with five shutout innings, checking Alvirne on four hits. But the Broncos got new life in the sixth, with two-out RBI hits by Ryan Santos (two-run double) and Jeff Piantaggini to close to within 5-3. South went with Zach Finkelstein to try to close it out in the seventh and it didn’t work. Alvirne’s Hayden Callery walked to lead off the inning, advanced on a Grady Hudson single, stole third and scored on an ground out off the bat of Evan Beals. Ruigrok reached on an infield error,and a wild pitch brought home the tying run. “Coach kept telling us to keep swinging the bats, we had to keep it up,” Ruigrok said. Callery got the win in relief for the Broncos, who are barely alive for a tourney berth. 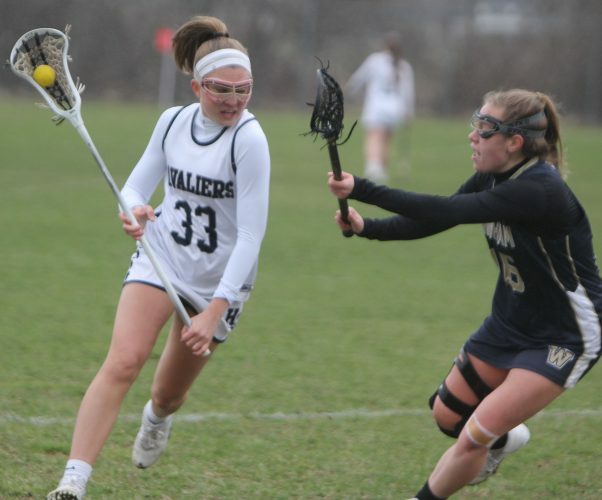 Turnabout was fair play in a way for Alvirne, which saw Londonderry rally from a 4-1 deficit late to beat the Broncos in extra innings, 5-4 earlier this week. Lee reminded them of that when they entered the seventh down by two.